Vermicelli is a good match for many vegetables and seafood. 1. Soak vermicelli in water for several mins or till it becomes soft. Cut a bit with scissors. Drain them. 2. Clean the crab. Take off the shell. Remove the intestine. And cut into smaller parts. 3. 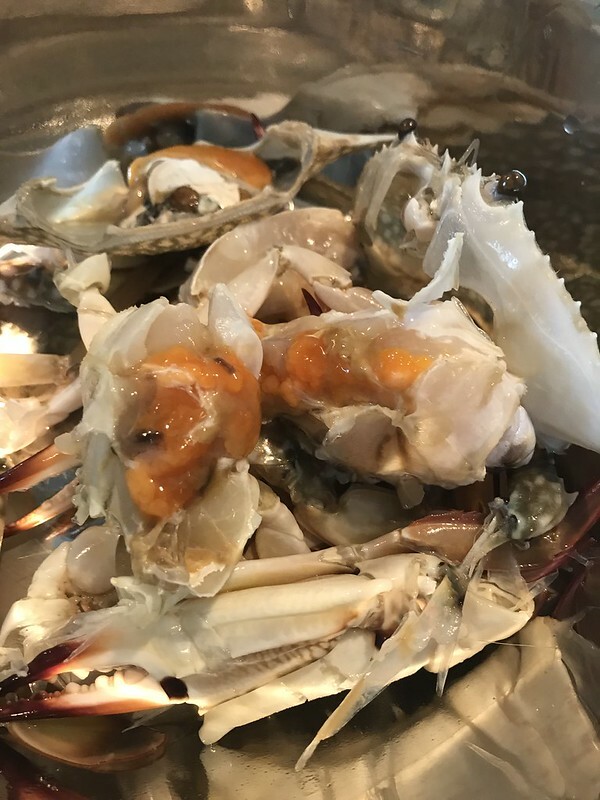 Place crab pieces in a bowl. Add in 2-3 tablespoon corn starch. Shake a little bit to let crab be coated with starch. 4. Heat a pan. Oil in. 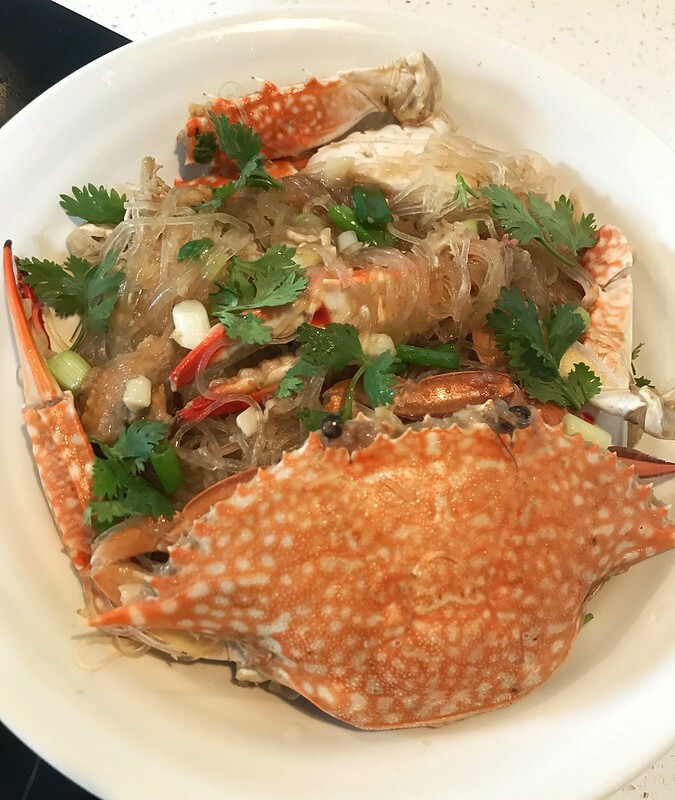 Fry crab till golden brownish. Take them out. 5. Heat the same pan. Add a little extra oil if needed. Add in chopped garlic and ginger. Sauté till aromatic. 6. Put the crab back in. Pour in 1 tablespoon cooking wine, 1 tablespoon light soy sauce, 1/2 tablespoon oyster sauce, 1 tsp sugar. And enough water covers all ingredients. 7. Cover the lid. Simmer with low/medium heat for 15 mins. 8. Add the soaked vermicelli. 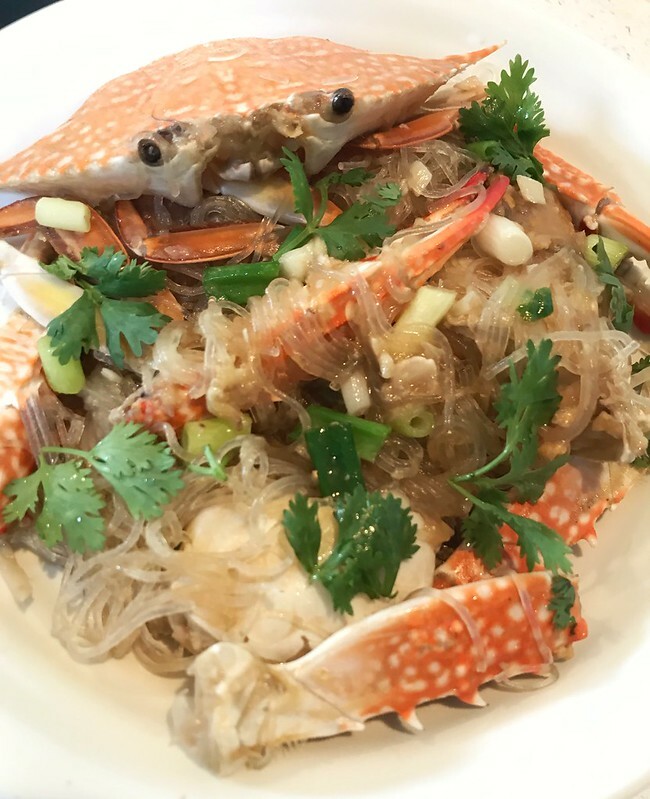 Mix vermicelli with sauce and crab for about 3 mins. 9. Season with salt. Garnish with spring onion.